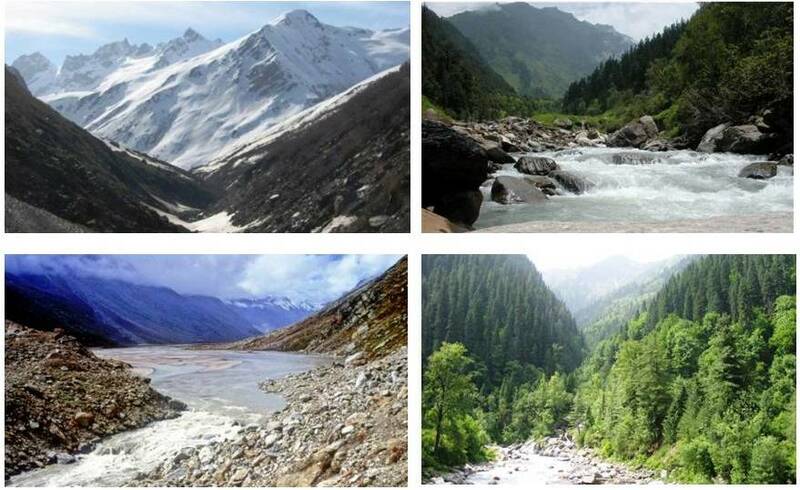 The starting point for any trekking or visit to GHNP is the Kullu Valley region in the state of Himachal Pradesh. This region is best accessible by road and air. A pre-trek meeting at GHNP headquarters in Shamshi (near Kullu) is recommended. Delhi – Ambala (188 KM) – Chandigarh – Roopnagar (282 KM) – Kiratpur – Bilaspur (371 KM) – Mandi (440 KM) – Pandoh – Aut (481 KM) – Larji – Gushaini – Tirthan (511 KM)Delhi to Chandigarh by National Highway 1, then to Aut in Mandi district by NH 21. 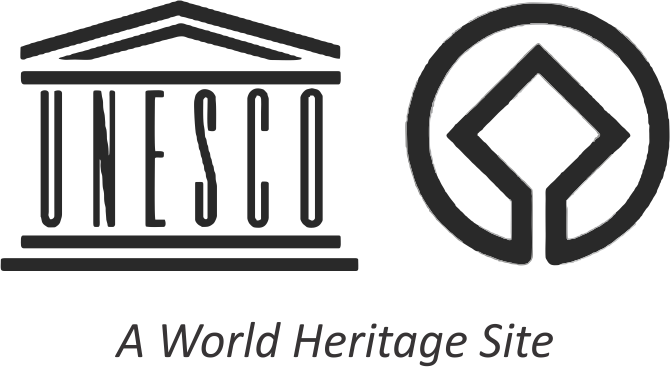 The towns of Chandigarh and Swarghtat can be targeted to stay for staging the trip. 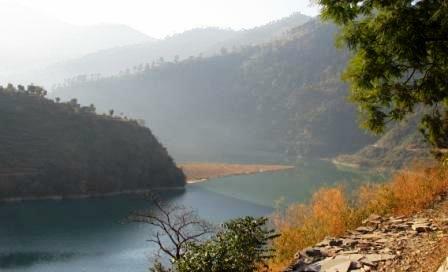 Road journey in the mountain terrain of Himachal provides good views of Gobindsagar Lake near Bilaspur, followed by lush and wide Bahl Valley. The drive continues through the outskirts of Mandi which leads into the Pandoh gorge. After Pandoh comes the small town of Aut from where a link road goes across the bridge over Beas River into the Banjar valley, where the Park is located. This trip can be made by private vehicle. Private and state run buses to the region are also available. Check with tour guides and books for details from major Indian cities to Bhuntar and Kullu. Chandigarh (296km) is the closest major Railway Station. 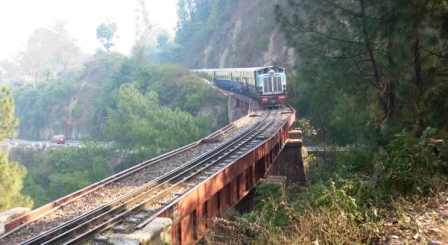 From there you can either take a cab or bus.Or if you would like to enjoy Toy Train ride, then you can come all the way up to Joginder Nagar(100 kms), in Mandi from Pathankot, and take a cab or bus from there.Numerous trains run on Delhi to Pathankot route(broad gauge) and from there you change to the Toy train(narrow gauge). Its a long (about 10hrs) but beautiful journey to Joginder Nagar. 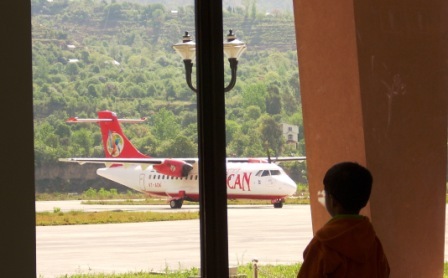 Air Port Bhuntar (Kullu), 63 kms. Railhead Joginder Nagar (Mandi), 143 kms. National Highway NH 21, intersection at Aut, Kullu, 45 kms. – Kullu (District HQ), 75 kms. – Shimla via Mandi (State HQ), 243 kms. – New Delhi (National HQ), 523kms. The motorable, all-weather road from Aut to Gushaini is about 52 kms. Gushaini is the roadhead for trekking in this valley. Starting from Aut, the 46 kms road in Sainj valley ends at Neuli where the trekking trail starts. About 5 kms short of Neuli, is the village Ropa. Here, a gravel road climbs up to Shangarh which is famous for its large meadow surrounded by the cedar trees. Only four-wheel-drive vehicles can use this gravel road which is very narrow and not generally advised for travel by car. Check with GHNP officials about access to Neuli by road. There is a bus service to Neuli. On the Sainj valley road, about 35 kms. from Aut, is the Siund village where the Jiwa river meets Sainj. Siund is the starting point for treks in Jiwanal Valley. Beyond Aut follow NH 21 up to Bhuntar then take the link road to Manikaran and up to Barshaini. Start the trek from Barshaini or the more popular village of Pulga (with an old Forest Rest House). This is the starting point of very popular treks up to Mantalai and further up to cross the Pin-Parvati Pass (5319 m altitude). From Kullu, Bhuntar (Airport connection from New Delhi), and Aut, there are regular taxi and bus services to the Sainj and Tirthan valleys. Consult a guide book for places to stay in the Kullu or Bhuntar area while you stage your trek.